PSYCHEDELIC FURS ANNOUNCE U.K. DATES! Post-punk legends THE PSYCHEDELIC FURS return to the UK in September. The tour, their first here in some years, will feature the band playing all their singles from every studio album in their catalogue. Kicking off in Glasgow on 1 September, the 9-date tour takes in a show at the Forum in London on 9 September. 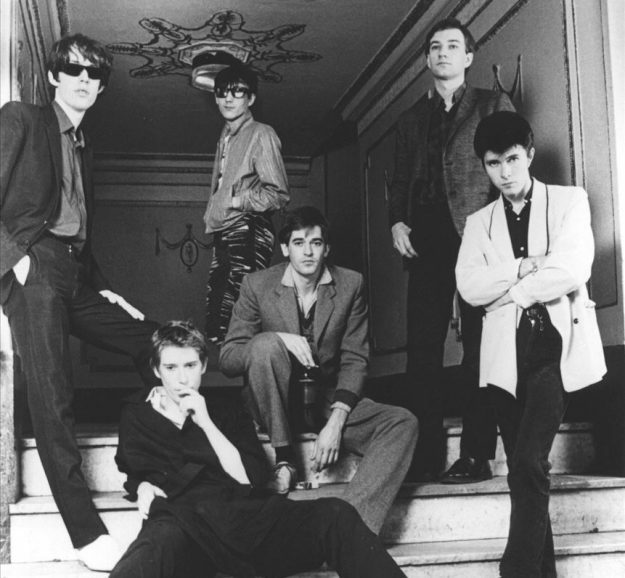 First formed in Surrey in 1977, relocating to North London, the Furs scored several minor hit singles and albums including Talk Talk Talk and Forever Now. They relocated to the US in the early 80s, where their student disco classic ‘Pretty In Pink’ inspired a major film. After a hiatus, the band regrouped around founders Richard and Tim Butler in 2001. Tickets go on sale here at 9am on Friday 28 April. Check out the original video for ‘Pretty In Pink’. ‹ BLACK BULLETS VIDEO EXCLUSIVE!